I am pretty much addicted to anything pumpkin so when fall comes around we turn to some of our pumpkin favorites. 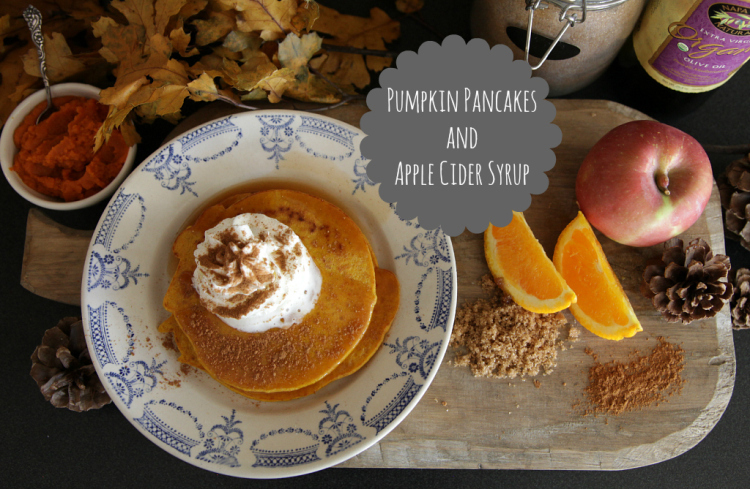 Pumpkin pancakes with apple cider syrup is a fall staple for as long as I can remember. 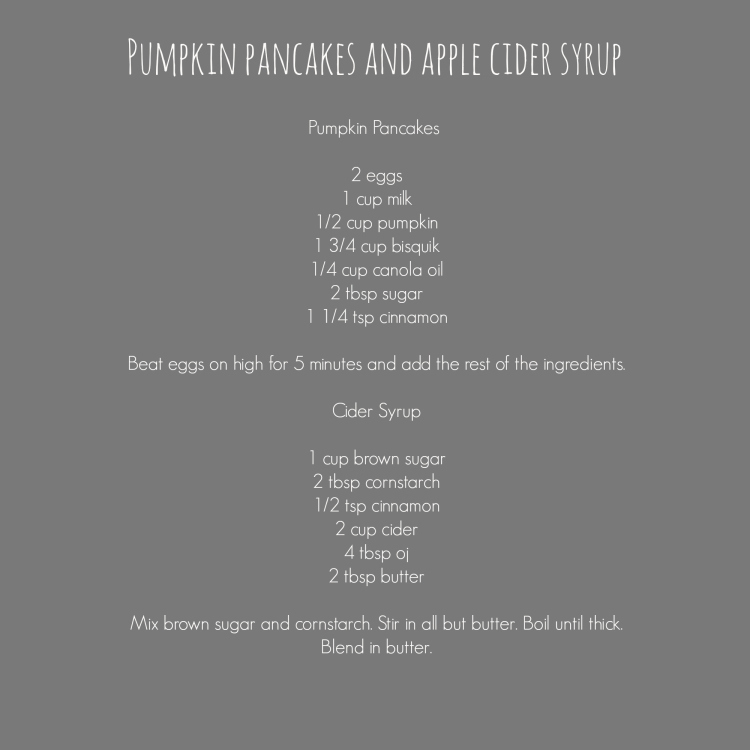 THIS is the recipe that the kids ask for on special occasions and especially during the fall. We made ours gluten free but tweak it anyway you want to make it your own. We thought it would be fun to share the video of us making them from a few years back.